Disney’s animated Robin Hood (1973), directed by Wolfgang Reitherman, is a zoomorphic version of the famous tale, meaning that animals of different species represent the classic characters of the Robin Hood legend. The animation was created at and by Walt Disney Studios, which was also called Buena Vista Studios. Robin Hood takes place during the reign of King Richard I while he is on the Third Crusade. The Third Crusade took place from 1189 to 1192. While Richard is away on Crusade, his younger brother Prince John (a lion) rules in his absence. Prince John becomes greedy and starts to excessively tax the people. Robin Hood (a fox) steals back the taxes to give to the poor people of Nottingham. Prince John holds an archery contest to try and catch Robin Hood. Robin is caught but escapes. In another attempt to try and capture Robin, Prince John arrests Friar Tuck and sentences him to death. Robin Hood and Little John break Friar out of jail out and steal money from the royal treasury. King Richard returns and imprisons Prince John, while Robin and Maid Marian are married.It is a general consensus that each new Robin Hood adaptation is the product of its predecessors (Lynch, 30). The legend of Robin Hood is now traditionally set in medieval times, precisely during the reign of Richard I following Scott’s Ivanhoe (1819) (Lynch, 30). Disney’s animated Robin Hood is based on a previous intellectual property, The Adventures of Robin Hood (1938), and scenes in the animated film mirror this classic, swashbuckler film. Robin Hood films have boasted social justice themes since The Adventures of Robin Hood. The Adventures of Robin Hood has a measure of “conservative” socialism, in that it supported the New Deal programs that President Franklin Delano Roosevelt had recently created. 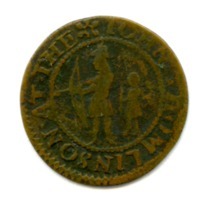 This is evident in Robin’s motto: stealing from the rich to give to the poor (Aberth, 173). 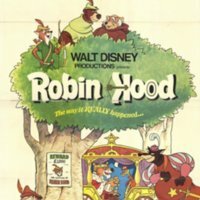 Disney’s Robin Hood, on the other hand, was released in 1973 following the Civil Rights movement. The idea for this film came about during the Depression era but was not truly started until the 1960s. It is a film that summons a message of social responsibility and cares for the marginalized. (Harty, 142). The unique historical context of this film, the Depression, and the Cold War made it difficult for Disney to create this film. Creating a film about social responsibility, without having it come off as socialist, was his biggest issue. Robin Hood is a film that was conceived by Disney from the medieval tales about Reynard the Fox and crafted into the social commentary after his death. Reynard the Fox is a very old character. The tales of Reynard the Fox go back to Roman times, but the stories were compiled and written down by William Caxton in the late fifteenth century (Morley). Originally Walt Disney wanted to adapt Reynard the Fox into a film but was worried about the violence and morality of the character (Harty, 142). He was worried about how a film depicting a character committing crimes in a positive light and receiving no punishment would affect young children. He thought that such would suggest that it is acceptable to take up arms against an unlawful authority (Harty, 141). In a draft of an essay from 1962, Disney wrote about the importance of teaching children that good always has the ability to beat evil, and that is what he tried to do with his films (Harty, 143). The original script of Reynard the Fox was transformed into Robin Hood following Walt Disney’s death. The animators felt that they ethically had to do this because it was just not right to have a criminal as the film’s main character (Harty, 142). It was determined that by making the characters into animals it created moral distance for the viewer from their unethical decisions (Harty, 140). Such a storytelling technique was supposed to show that these immoral acts are not acts of people but are part of a simply fairytale, which used animals to signify the characters’ standing in society. Prince John is depicted as a cowardly lion, while his brother Richard is a strong majestic lion. Robin is a sly fox. This characterization not only speaks to his origins as Reynard the Fox but to the cunning nature of foxes that speak to Robin’s thievery. Lady Kluck is a chicken, who is fiercely protective of her “egg” Marian. Sir Hiss, a snake, stands in for the devil’s advocate, who hisses in the young Prince John’s ear. The most interesting animal choice, however, is that of the Sheriff of Nottingham. The Sheriff was originally going to be a pig, but it was felt that this would be offensive to police officers at the time. Instead, the animators chose a wolf, which explains the Sheriffs firm loyalty to Prince John (Lynch, 140). In the film, Friar Tuck (voiced by Andy Devine) tells Robin (voiced by Brian Bedford) that he is “no outlaw…someday you’ll be known as a great hero” (Harty, 141). Surely, this is Disney’s defense of depicting an outlaw in a positive light. Disney’s animated Robin Hood allows its female characters agency. The actions of these characters, while they might appear inconsequential, can change viewers' perception of the film, which draws from a previous 1952 Disney film, The Story of Robin Hood and His Merrie Men (Harty, 142). There are, however, only five female characters in the animated film. The Mother Church Mouse and Mother Rabbit are even voiced by the same woman, Barbara Luddy. The Church Mouse donates the last of her money to the church that she had been saving for a rainy day. She acts when her husband seems at a loss for what to do. Her action gives the viewer hope that all will not be lost and that good will prevail. The two young rabbit children provide an interesting dichotomy. Little Skippy hero-worships Robin and thinks kissing is gross, while his older sister is only interested in kissing. Lady Kluck (voiced by Carole Shelley) possesses a lot of agency. For example, when talking to the children she actively participates with them. She is also much more than a handmaiden, Lady Kluck is Maid Marian’s (voiced by Monica Evans) best friend. She leaps into action during the archery scene and actively fights. While Disney does an excellent job with Lady Kluck, Maid Marian is stereotypical damsel in distress. There is no action that she does of her own volition except for marrying Robin Hood. She exists mostly for romance and shows that love tames the outlaw (Lynch, 38). 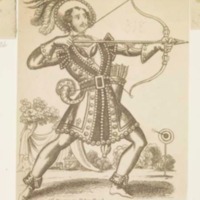 “Taxes, taxes, taxes, why he taxed the heart and soul out of the poor people of Nottingham.” Disney’s animated Robin Hoodcalls to mind the socialist message of the story, a message that was not Disney’s intention to promote when he started the project. The film is can be seen as mildly socialist because Robin Hood is praised for redistributing the wealth of the rich to the poorer classes (Lynch, 33). Robin Hood is an excellent children’s film that teaches the need to care for the poor and disenfranchised in one’s own community. While not Disney’s intention, it also teaches that political disobedience can be the right way. Disney’s Robin Hood can be instructive in teaching children about medieval literature and could create an interest to know more. Aberth, John. A Knight at the Movies: Medieval History on Film. London: Routledge, 2003. "Robin Hood (1973)." IMDb. Accessed March 21, 2018. http://www.imdb.com/title/tt0070608/. Harty, Kevin J. "Walt in Sherwood, or the Sheriff of Disneyland: Disney and the Film Legend of Robin Hood." Edited by Tison Pugh and Susan Aronstein. In The Disney Middle Ages: A Fairy-Tale and Fantasy Past, 133-52. New York City, NY: Palgrave Macmillan, 2012. Lynch, Andrew. "Animated Conversations in Nottingham: Disney's Robin Hood." Edited by Gail Ashton and Daniel Kline. In Medieval Afterlives in Popular Culture, 29-42. New York, NY: Palgrave Macmillan. Morley, Henry. "Medieval Bestiary: The History of Reynard the Fox." 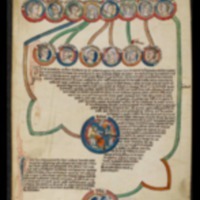 The Medieval Bestiary. May 15, 2008. Accessed May 04, 2018.